Sparked by the confluence of accelerating domestic transformation and increasingly explicit impacts from ‘globalization’, the Japanese education system has undergone tremendous changes during the turbulence of the past decade. 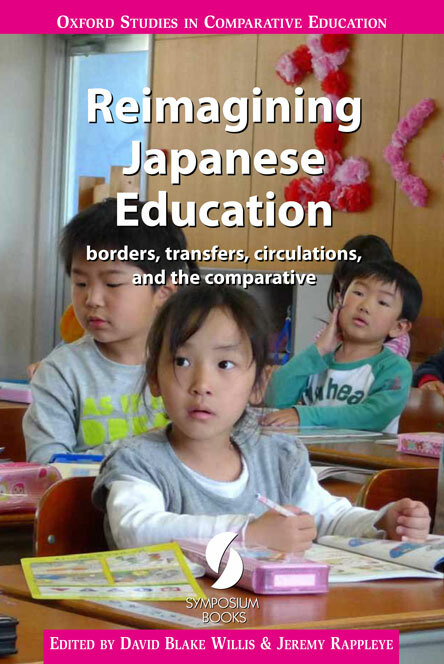 This volume, which brings together some of the foremost scholars in the field of Japanese education, analyzes these recent changes in ways that help us ‘reimagine’ Japan and Japanese educational change at this critical juncture. Rather than simply updating well-worn Western images of Japan and its educational system, the aim of the book is a much deeper critical rethinking of the outmoded paradigms and perspectives that have rendered the massive shifts that have taken place in Japan largely invisible to or forgotten by the outside world. This ‘reimagining’ thus restores Japan to its place as a key comparative link in the global conversation on education and lays out new pathways for comparative research and reflection. Ranging widely across domains of policy and practice, and with a balance of Japanese and foreign scholars, the volume is also indicative of new directions in educational scholarship worldwide: approaches that center global interactions on domestic education and contribute to a far greater recognition of the polycentric, polycontextual World unfolding today. This book will be of keen interest to scholars of education worldwide, as well as those working in and across anthropology, sociology, policy studies, political science, and area studies given that contemporary transformations in Japan at once reflect and approximate political, social, and educational shifts occurring throughout the World in the early decades of the 21st century. Japan’s century-old discourse concerning the need to ‘catch up’ with the West, its confident proclamation in the 1980s that ‘catch-up’ was complete, and its subsequent ‘lost wanderings’ provide, this chapter argues, a highly illustrative example of Japan’s ‘comparative advantage’ in the global conversation. It traces ‘catch-up’ through each of Japan’s ‘Three Great Reforms’, attempting to illuminate the various elements of a discourse that has accommodated myriad opinions about Japan’s relationship to ‘outside’ World, revealing both continuities and ruptures; consensus and contestation. The attempt is to ‘reimagine’ new pathways for historical research generally, but also show how the course of interactions of the past directly channels contemporary global flows and circulations. It ends with the present: discussing what has come after ‘catch-up’ and contemplating how Japan’s long engagement with the ‘global’, narrowed through the lens of comparison with the West alone, has contributed to the present state of ‘lost wanderings’ and educational decline. In 2008 the curriculum guidelines for Moral Education were revised. The revisions concerned emphasis on individual responsibility, respect for life, environment, nation and other countries, understanding of differences, and strengthening of moral capabilities in children. Rather than the common interpretation of initiatives concerning Japanese moral education as conservative/traditionalist attempts to re-introduce pre-war practices, this chapter suggests that the initiatives should be seen as acts of ‘gate-keeping’, as attempts to keep safe what is considered basic and inalienable in Japanese culture and morality by those in a position of influence. This case displays both ‘immune’ and ‘permeable’ aspects of the recent revisions of the moral education curriculum in Japan. The revisions are seen here as a reaction to the challenges of globalization; the risks and anxieties experienced in globalized society. Theories of globalization, world risk society, reflexive modernity and cosmopolitanism are used in an attempt to make sense of the new curriculum guidelines in the light of gate-keeping, the challenges posed by globalization and changing social conditions as represented by increased perceptions of ‘risk’ and anxiety. This chapter focuses on two paradoxes surrounding the understanding of foreigners and minorities in Japan. First, Japan is described as both homogeneous and multicultural at the same time. In addition, whether one sees Japan as multicultural or not, there seems to be no disagreement when it comes to the understanding that Japan is ‘internationalizing’. This chapter analyzes why these two interrelated paradoxes are sustained, and explores the implications. The so-called new foreigners (newcomers) who have entered Japan since the 1980s are used as a lens for understanding the mechanisms behind the above-stated paradoxes. Through such an examination, this chapter attempts to illustrate what is changing and is not changing in Japanese education as it pertains to issues of cultural diversity. The Japanese Ministry of Education (MEXT) is unambiguous about the need for improved English language ability for Japanese citizens. Its failure to achieve substantial real improvements over the past 30 years can be put down to bureaucratic inertia, the over-centralized nature of the Japanese school system, and the ministry’s insistence that all Japanese children be helped equally in their efforts to learn foreign languages regardless of motivation or aptitude. Further obstacles are provided by some nationalists who warn that Japanese people who are too enthusiastic about learning English may risk losing their ‘authentic’ national identity. Public policy failure has forced many individual Japanese into the hands of the private sector, a trend that can only increase inequality: the opposite of what was intended by public sector policymakers. Imagining Japan’s ‘Relaxed Education’ Curriculum: continuity or change? This chapter examines translation and implementation of the ‘relaxed education’ (yutori kyōiku) reforms, which were introduced in all Japanese schools beginning in 2002. Drawing from qualitative data collected over a seven-year period, the author documents educators’ responses to policy directives, and connects the decisions they make to the social, institutional, and psychological exigencies that organize their professional lives. Particular attention is paid to the factors responsible for distinct responses to change displayed by elementary and secondary educators. The analysis provided underscores the complex, sometimes irrational nature of debates about the ‘educational crisis’ that Japan is currently facing. Data collected for this study indicate that the changes implemented in response to adoption of the relaxed education reforms were limited in scope; teacher resistance to change was more notable than evidence of changes in educational practice. Ministry of Education bureaucrats, who write Japan’s sports policy, have actively looked to other nations to find new ideas. Sports policy reforms throughout modern Japanese history have reflected this global outlook, and although they have often been based on foreign policy precedents, they have also been adapted at the grassroots level to fit local Japanese needs. Based on an extensive review of Japanese sports and educational policy documents and observations from long-term (2008-2009) fieldwork with a Tokyo-area private co-educational university basketball club (men’s and women’s teams), as well as fieldwork at the Japan Sports Association’s coach training and certification courses (2009), this chapter argues that some foreign policies that Japan has borrowed have fostered ‘real’ change, while some, especially a recent policy reform aimed at ‘sports for health through science’, have as yet only ‘imagined’ it. This chapter critically examines the persistent images of higher education ‘internationalization’ held within Japan’s leading institutions themselves and by outside observers, both of which demand reappraisal in the rapidly changing contexts of globalization and shifting domestic demands. Building upon the analysis of the ‘Global 30’ project, a new political commitment in Japan to make universities more global and internationally competitive, as well as the government policies to increase the number of overseas students since the 1980s, the study elucidates the construct of Japan’s ‘invisible’ internationalization with strong regional characters and development assistance orientation that is being redefined. Often labeled ‘nationalist’ by outside critics, the old paternalistic model of internationalization is challenged due to the heightened global competitions for talent and imminent needs for Japan to enhance its engagements with the world. The study showcases the tensions and paradoxes experienced by non-English-language, non-western universities as they grapple with the challenges of globalization and education restructuring. This chapter documents changes in the roles and responsibilities assigned to teachers over the past 25 years, with particular attention to the effects of flexible education (yutori kyōiku) policies on educators. It connects policy decisions to teacher activity at the school level, and analyzes the effects of educational reforms on the professional lives of teachers. In addition, it discusses concrete strategies for addressing the challenges that schools currently face. Drawing on observations conducted in more than 1500 schools nationwide, the author argues that the most effective means of halting the recent drop in academic attainment and a widening achievement gap is to raise the status of teachers as genuine professionals. The chapter also offers suggestions for constructing a new vision of school reform capable of advancing teaching as an independent and respected profession, and rebuilding the Japanese education system into one that deserves to be called among the best in the world. Drawing on recent critical investigations into the politics of Japanese education reform, this chapter presents a conceptual framework for emerging new politics of Japanese education. It firstly reviews the existing English-language literature on the ‘Third Great Education Reform’ from the perspective of a critical sociological approach to education policy. The review demonstrates that many English-language comparative education studies on the ‘Third Reform’ under-appreciate the critical insights presented by Japanese scholars, hold on to the frameworks premised upon the post-war continuity of Japanese education, and consequently do not fully grasp the nature of its fundamental transformation. Furthermore, this critical discussion identifies some of the problems associated with the current state of the English-language comparative studies of Japanese education in particular and comparative education in general. In conclusion, ways are discussed to address these issues, calling for re-imagining comparative education as a dialogic space where scholars both in English-speaking, Western ‘centers’ and non-English-speaking, non-Western ‘peripheries’ make equal contributions to the theoretical knowledge production of the field. Robert W. Aspinall is a Professor in the Faculty of Economics, Shiga University, where he teaches politics and inter-cultural communication. He is the author of Teachers’ Unions and the Politics of Education in Japan (SUNY 2001) and various articles on education policy and administration, and internationalization. He has experience as a secondary school teacher in his native England as well as Japan and is always concerned with the effects of theory and policy on the real lives of teachers and students. Christopher Bjork teaches in the Education Department at Vassar College in New York. His research focuses on educational reform in Asia, educational decentralization, and teaching cultures in Japan and Indonesia. He is currently working on a book that explores the goals and effects of Japan’s relaxed-education policies. Robert Cowen is Emeritus Professor of Education in the University of London Institute of Education and a Senior Research Fellow of the University of Oxford Department of Education, and the Immediate Past President of the Comparative Education Society in Europe. His recent publications include the International Handbook of Comparative Education (edited with Andreas Kazamias; Springer, 2009). Mayumi Ishikawa is Associate Professor, Office for International Planning & Programs and School of Human Sciences, Osaka University, Japan. She conducts research as part of the university’s international policy formulation and strategy planning initiatives. Her research focuses on globalization of higher education, its impact on knowledge constructions, and the status of internationalization both at micro and macro levels, with particular attention to the mobility of students/scholars and the emergence of hegemony in academia. Takehiko Kariya is Professor in the Sociology of Japanese Society at Nissan Institute of Japanese Studies and the Department of Sociology, University of Oxford. Before coming to Oxford, he had taught sociology of education at the Graduate School of Education, the University of Tokyo, for nearly two decades and has published more than 12 books in Japanese. A translation of one of his most widely read books in Japanese will appear under the title Education Reform and Social Class in Japan (Routledge, 2011). Aaron L. Miller is Assistant Professor and Hakubi Scholar at Kyoto University, affiliated with the Graduate School of Education. He holds degrees in political theory (BA UCLA 2002, with honors) and socio-cultural anthropology (MSc 2006, with distinction, and DPhil 2009, University of Oxford). He researches education, sports, discipline and culture. As a Visiting Scholar at Stanford University’s Center on Adolescence, he is undertaking a comparative historical and ethnographic project regarding the idea of education in Japanese and American sports. Jeremy Rappleye is currently a Japan Society for the Promotion of Science Special Research Fellow at the University of Tokyo, having recently completed his doctoral studies at the University of Oxford. His main research interests are the processes and politics of educational transfer, past and present. His most recent works include a volume entitled Educational Policy Transfer in an Era of Globalization: theory-history–comparison (Peter Lang, 2011) and a chapter in the forthcoming World Yearbook on Education entitled ‘Reimagining Attraction and ‘Borrowing’ in Education: introducing a political production model’ (Routledge, 2012). Marie H. Roesgaard is Associate Professor of Japanese Studies, Department of Cross-Cultural and Regional Studies, University of Copenhagen, Denmark, where she has taught since 1994. Her research interests include educational reform, shadow education, value education, construction of order and meaning, globalization, the risk society and cosmopolitanism. She teaches classes on Japanese society and Japanese language at the University of Copenhagen. Manabu Sato is Professor of the Graduate School of Education, University of Tokyo, serving as the Dean from 2004 to 2006. President of the Japanese Education Research Association from 2004 to 2009, he was a visiting professor at Harvard University and other universities, and has worked extensively and intensively with many schools and school leaders in Japan, believing in the central importance of school leaders and teachers in nurturing learning communities. He has published more than 20 books, edited over 100 books, and has nearly 200 academic papers in Japanese. Many of his works have subsequently been translated into English, French, German, Spanish, Chinese and Korean, among other languages. Keita Takayama is a Lecturer in the School of Education, University of New England, Australia, where he teachers sociology of education and multicultural/antiracist education. His current research interests include the impact of the Organisation for Economic Co-operation and Development (OECD) on education policy in multiple nations and transnational exchange and production of subjugated knowledge in education. Ryoko Tsuneyoshi is a Professor of Comparative Education at the Graduate School of Education, University of Tokyo. She received her PhD from the Sociology Department at Princeton University. Her focus is on the cross-cultural comparisons of schooling and socialization, and she has done extensive fieldwork in schools in Japan and the United States. Her books include Minorities and Education in Multicultural Japan: an interactive perspective, co-edited with O. Kaori & S. Boocock (Routledge, 2010), and The Japanese Model of Schooling: comparisons with the United States (RoutledgeFalmer, 2001). David Blake Willis is a Professor of Anthropology and Education in the School of Human and Organizational Development, Fielding Graduate University, Santa Barbara, California. He is a Professor Emeritus of Anthropology and Sociology of Soai University, Osaka, where he taught from 1986-2009. He was a Senior Associate Professor at the Nissan Institute of the University of Oxford (2006-2007). His many publications include Transcultural Japan: at the borderlands of race, gender, and identity, with Stephen Murphy-Shigematsu (Routledge 2009) and Japanese Education in Transition 2001: radical perspectives on cultural and political transformation (Shannon, Flinders University, 2002), with Satoshi Yamamura. His research concerns human development and education over the lifespan in transnational contexts, cultural transmission, transcultural communities, international schools, border studies, diaspora, Creoles and the creolization of cultures, and cosmopolitanism.